AirFlinger is an SDK for iOS and Android that combines the capabilities of AirPlay™ and Xbox™ SmartGlass™. 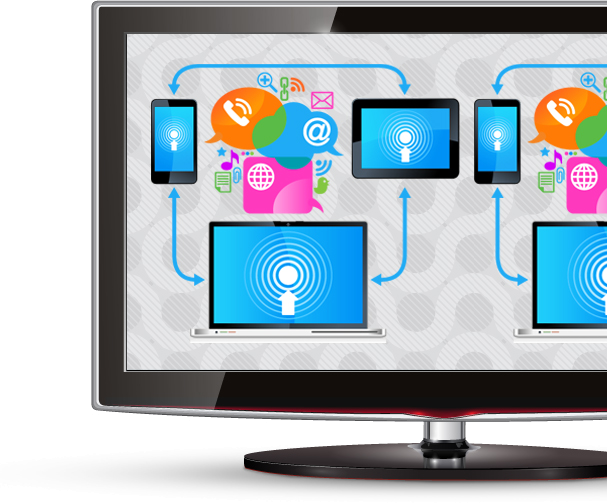 It's main features are media shifting, screen mirroring and time synching across multiple screens. It is based on open standards and is intended for pay-TV operators, wireless carriers and video publishers to integrate with their existing mobile apps. AirFlinger is free for development and evaluation purposes and includes a sample app in source form for both iOS and Android, please contact TVersity for a commercial license. With AirFlinger, Pay TV operators maximize their Set-Top boxes' capabilities, so that their subscribers rarely pick-up another remote or change the input on their TV. AirFlinger can be implemented on any connected device - currently implementations are available for Windows, Mac, iOS, and Android. Inbound and outbound media shifting for audio, photos, videos and documents, as well as screen mirroring and shifting web content are fully supported. Based on standards like UPnP/DLNA, HTTP, HLS, DIAL, and Miracast and augmented by a few simple guidelines to ensure seamless interoperability.